Watch Galaxy Angel S online English Dubbed free with HQ / high quailty. 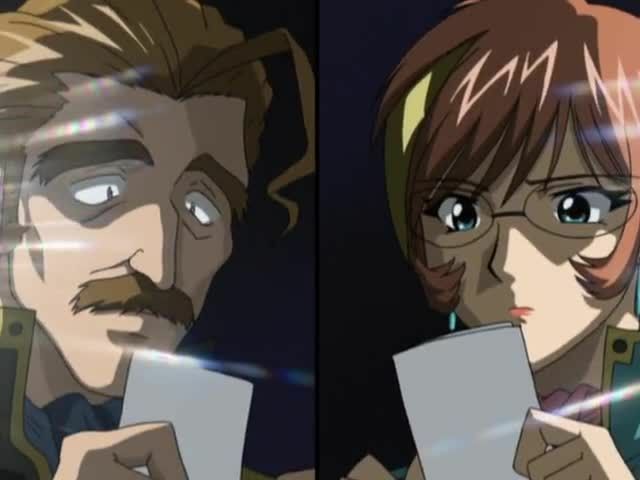 Stream movie Galaxy Angel S English version.Ghost in the Jam ~ During an infiltration of the Angels’ base, Milfeulle grabs a grenade and runs off with it, sacrificing herself to save her friends. Later on, she wakes up, believing it all to have been a dream. Things seem off when Commander Volcott and the others can not see or hear her. Realizing she is now a ghost, Milfeulle must come to terms with memories of her friends, both good and bad. Shuffle Udon ~ Commanders Mary and Volcott have been ordered to switch commands. Neither is very happy with the situation, but they make due. That is, until the Twin-star boys insult Commander Volcott’s mustache. Enraged, he reverts to his old army self, the “White Supernova Wolf”. The Angels try desperately to control their former leader while Mary sneaks off for some tea.